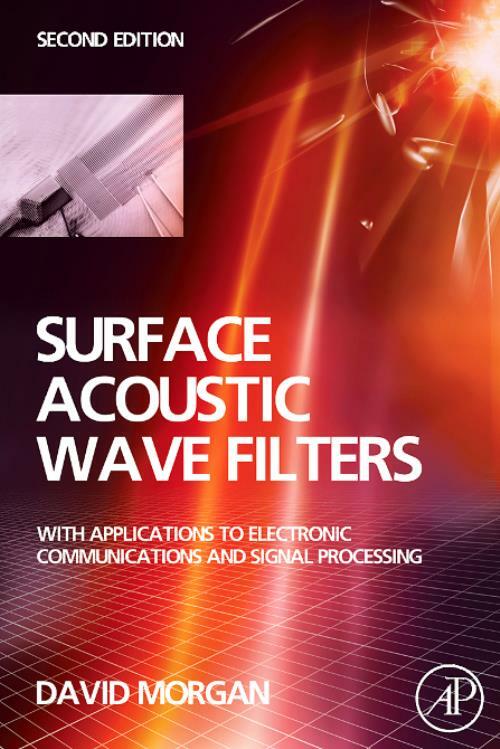 Surface Acoustic Wave Filters gives the fundamental principles and device design techniques for surface acoustic wave filters. It covers the devices in widespread use today: bandpass and pulse compression filters, correlators and non-linear convolvers and resonators. The newest technologies for low bandpass filters are fully covered such as unidirectional transducers, resonators in impedance element filters, resonators in double-mode surface acoustic wave filters and transverse-coupled resonators using waveguides. The book covers the theory of acoustic wave physics, the piezoelectric effect, electrostatics at a surface, effective permittivity, piezoelectric SAW excitation and reception, and the SAW element factor. These are the main requirements for developing quasi-static theory, which gives a basis for the non-reflective transducers in transversal bandpass filters and interdigital pulse compression filters. It is also needed for the reflective transducers used in the newer devices. David P. Morgan received a Ph.D. degree in Electrical Engineering from London University, for work on radar pulse compression using Surface Acoustic Waves. Since then he has been involved in research and development in a wide variety of topics, mostly in SAW, working at Nippon Electric Company (Kawasaki) 1970-71, University of Edinburgh 1971-77 and Plessey Research Caswell (Northampton, UK) 1977-86, where he was Group Leader for Surface Acoustic Waves. He is now a Consultant in this area. Dr. Morgan is author of the well-known text 'Surface Wave Devices for Signal Processing', and has also published over 100 technical papers. His knowledge of the SAW area has led to his being invited to lecture on the subject in the U.S., Russia, Finland, Japan, China and Korea. He is a Life Senior Member of the IEEE.